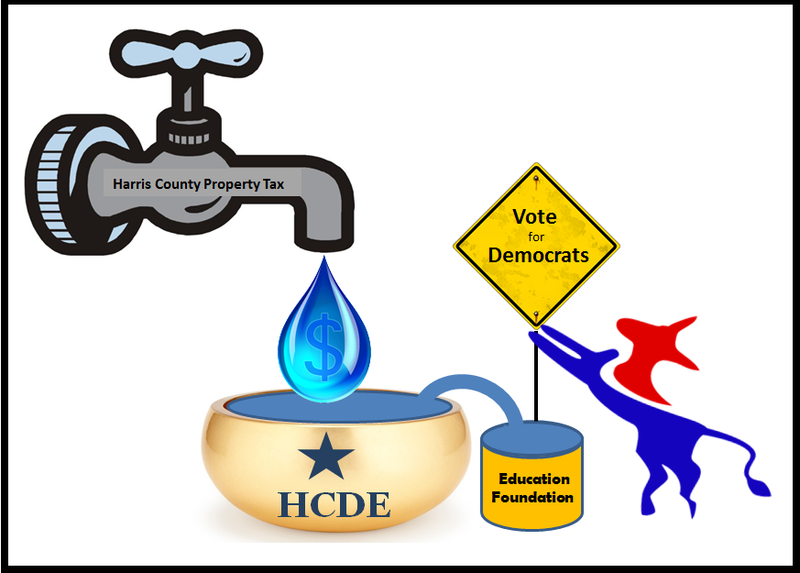 On 3/29/15 I filed a complaint with the Harris County Department of Education (HCDE) Trustees over their USE OF OUR LOCAL TAX DOLLARS TO SUPPORT DEMOCRAT CAMPAIGNS. The HCDE Board will be deliberating the issue at their board meeting on 4/21/15. 9/26/13: …We need to make sure we have a competitive candidate to fill that slot and most importantly one who supports HCDE and its programs. Also, in 2014, Debbie Kerner is up for re-election, and we need to support her. 3/27/14: The primary elections are over and the two candidates for HCDE Trustee positions I would ask you to endorse and vote for in the upcoming November election are Debbie Kerner, current HCDE board vice president and Melissa Noriega, former Houston city councilwoman and administrator at HISD. The opponents for both of these women support the abolishment of HCDE, Michael Wolfe and Don Sumners. 5/22/14: …Trautman also noted that she was elected Board of Trustees Vice President, taking Debra Kerner’s place. She also reminded the Board that elections are this fall. Two candidates will be on the ballot for HCDE Trustee positions that she feels are most supportive of HCDE’s mission: Melissa Noriega and incumbent, Debra Kerner. Thus, EFHC is not in compliance with the U.S. Internal Revenue Code. Section 255.003 of the Election Code states that an officer or employee of a political subdivision may not knowingly spend or authorize the spending of public funds for political advertising. “Spending” of public funds includes the use of political subdivision employees’ work time, the use of existing political subdivision equipment, and the use of facilities maintained by a political subdivision. Ethics Advisory Opinion No. 443 (2002) (EAO 443). 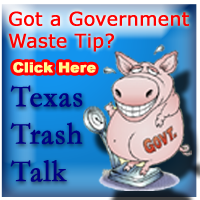 We also caution that government resources generally may not be used for campaign purposes. See Penal Code § 39.02. An officer or employee of a political subdivision may not spend or authorize the spending of public funds for political advertising. The prohibition applies to any “officer or employee of a political subdivision.” In other words, if a school district employee makes a decision to use district resources in violation of the prohibition, the employee could be fined by the Ethics Commission or held criminally liable. 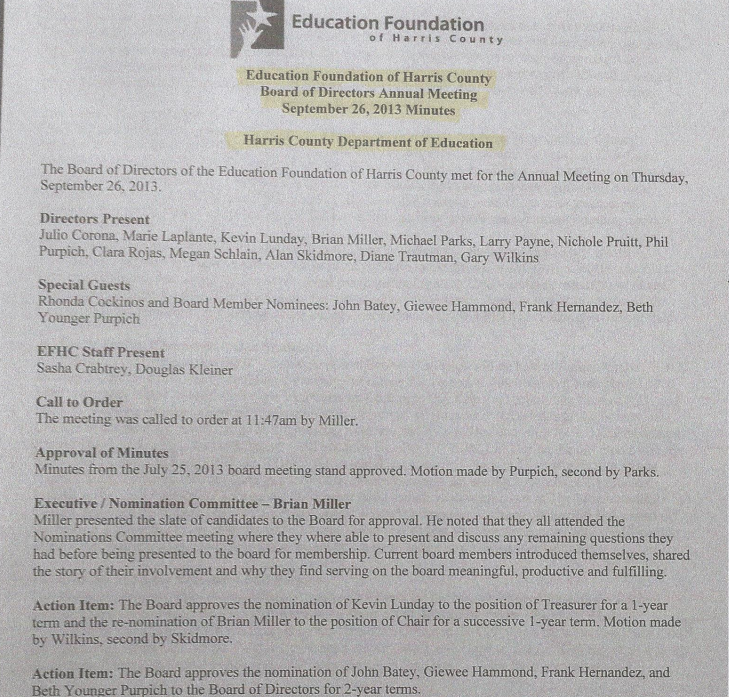 School board members, as “officers”of a school district, are also subject to the prohibition. by “spending or authorizing the spending of public funds” for political advertising. Also, it is not permissible to authorize the use of the paid time of the school district employees to create or distribute political advertising. For example, school district staff may not copy, staple, or distribute political advertising on work time. Another provision of the Texas Election Code prohibits a school board member for employee from using or authorizing the use of an internal mail system to distribute political advertising. An internal mail system is a system operated by a school district to deliver written documents to its board members or employees. A violation of this prohibition could also lead to the imposition of fines by the Ethics Commission or to criminal prosecution. A mistake is something happening one time. Someone beginning to speak in support of a candidate in a local election before being stopped by the CEO of a 501(c)(3) reminding the board that by law they can’t discuss candidates or campaigns. But these minutes show the activity was not only routine, it is so acceptable at EFHC that it was included in their OFFICIAL MEETING MINUTES! Two out of six meetings in 2014 means 33% of their meetings included political campaign activity. That is no simple mistake. on Tuesday,April 21, 2015 at 1:00pm.